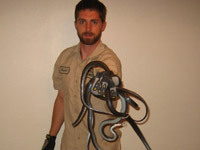 Some of the below snakes were caught with this snake trap (click) which you can order for $24.95 by clicking the link. 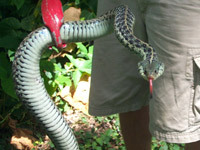 A closeup photo of a giant Blue Phase Eastern Garter. 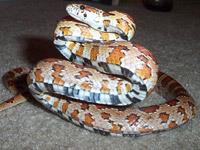 I think that the Corn Snake / Red Rat Snake is FL's prettiest snake. 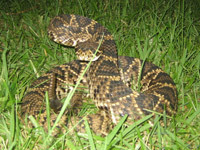 Do NOT get close to the Eastern Diamondback - you might die. 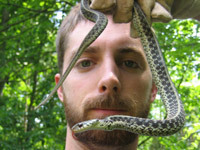 This is a photograph of me with a Garter Snake. 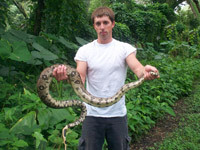 Not "Garden Snake", idiot. 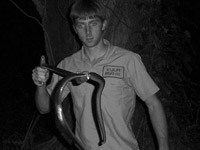 I was excited to catch this first Boa Constrictor from an old couple's garage. 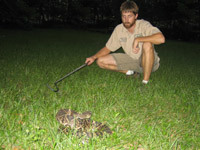 Please be careful around the Cottonmouth. In fact, don't go near it. 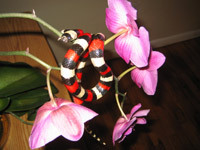 This Pueblan Milk Snake (not native) was right at home on phalanopsis orchids. 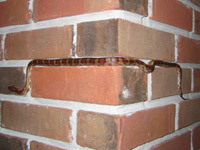 Look at it climb right up a brick wall! Splendid! 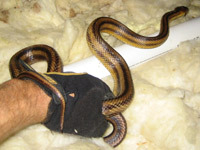 How do Corn Snakes get into attics? They are spectacular climbers, that's how. 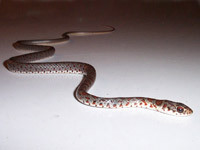 This little Corn Snake is ready to defend itself against my evil camera. 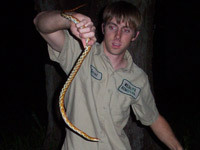 Here's a Yellow Rat Snake that I caught in an attic - it was after rats. Dangerous water snakes are nothing to laugh at. They're just not that funny. 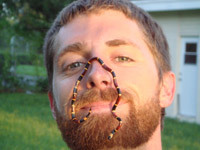 I was all liquored up and I decided I'd like to hang a Coral Snake from my nose. 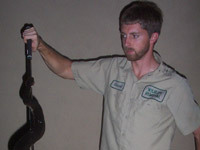 The snake hook is the best way to pick up a rattler - but better to leave it be. 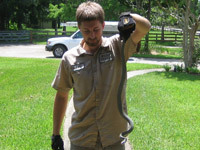 Orlando is full of Florida Black Racers. They thrive in suburban environments. 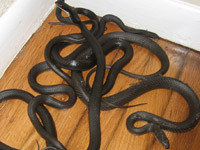 How many snakes do you see in this group? I see three. 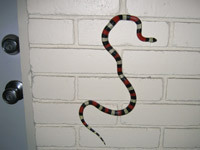 Why does the baby Black Racer have these crazy colors? 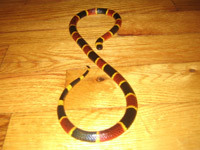 This Eastern Coral Snake made a sideways infinity symbol. 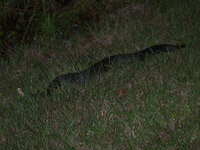 This Cottonmouth was like, fatter'n a football, seriously. I moved my camera within mere inches of this rattler. That's a lie. I did not. 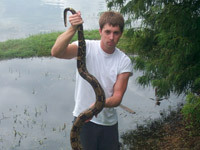 AAAnimal Control will take that snake to the lake, make no mistake! Another harmless Garter Snake. 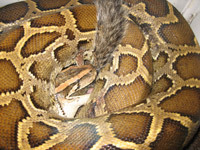 Snakes are not so bad. Why do black and white photos seem more sophisticated? 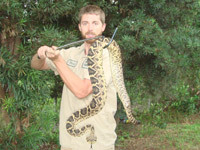 Why are snake and squirrel trappers so unsophistocated?